(P1) The next time you fire up the grill, give your taste buds a thrill with recipes that are inspired by some of the best cuisines from around the world. These recipes from Omaha Steaks will take you on a culinary adventure right in your own backyard. Sweet and spicy Korean, zesty South American and bold Mediterranean flavors make perfectly grilled steak even better. Clean and preheat grill on high. Lightly oil everything before putting it on the grill. This helps the searing process and prevents sticking. Sear the outside of steaks when grilling. This helps with the flavor and juiciness. Use tongs or a spatula to turn meat on the grill. Using a fork can damage the meat. Cover grill as much as possible during the grilling process. This helps to lock in the grilled flavor and will help prevent flare-ups. Keep a spray bottle with water handy to douse any unexpected flare-ups. Use the 60/40 grilling method. 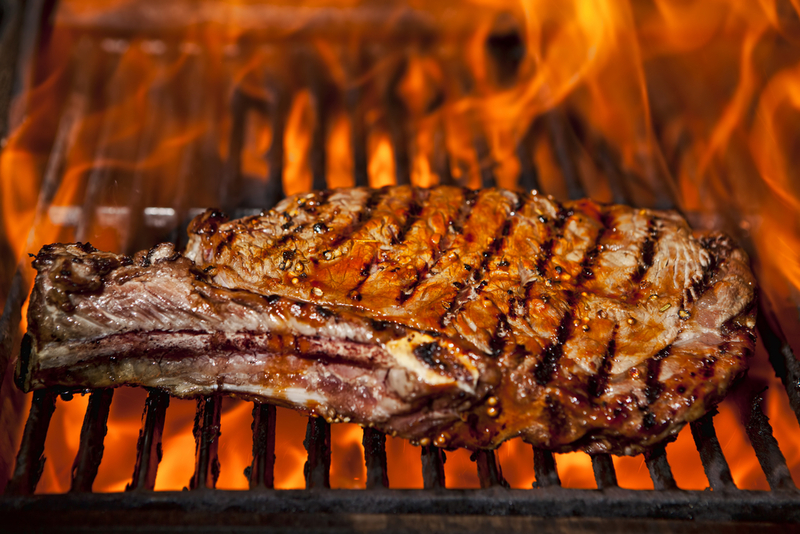 Grill for 60 percent of the time on the first side, then grill 40 percent of the time after turning over the food. This will make sure your food is evenly cooked. Place cooked food on a clean plate. Never place cooked food on the plate you used to transport the raw food to the grill without thoroughly washing it first. Allow foods to “rest” for 5 minutes between cooking and eating. This will help them retain moisture when you cut into them. To get your grill time just right, download SteakTime, Omaha Steaks’ free app with an innovative grill timer, at www.itunes.com/appstore. What are some methods used to grill in your country? What seasonings are used to grill in your country? Will you use some of these tips the next time you grill? Why or why not? Who is supplying the recipes in this article? What is the name of the application to assist with grilling times?